President of the United Church of Christ in Nigeria, also known as HEKAN, Rev. Amos Kiri, on Sunday asked the Federal Government to dislodge the herdsmen the way it did the Boko Haram insurgents in the Northeast. The cleric said the issue of the herdsmen, who had over the years wrecked havoc on some states in the north and other parts of the country, must not be treated with levity. 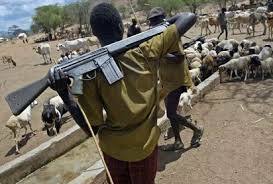 Kiri, speaking on the theme: ‘Restoration’ at the 51st Annual Convention of HEKAN church in Kaduna on Sunday, noted that innocent Nigerians had suffered in the hands of herdsmen. According to him, herdsmen deserves similar onslaught as being meted out to the dreaded Boko Haram members by the Nigerian military. Meanwhile, the cleric urged the Nigerian military to sustain the current bombardment on the dreaded Boko Haram, insisting the killings by both the dreaded sect and the herdsmen must stop immediately. The HEKAN boss also used the occasion to thank God for granting President Muhammadu Buhari recovery after his near 50 days medical vacation to the UK. He said the Church of God won’t relent in its prayer to grant the President good health as he steers the affairs of the country. “The continuous killings by herdsmen across the country are of great concern to all peace loving Nigerians. “May I urge the government to use the same massive attacks used by the combined efforts of the gallant armed forces of Nigeria in dislodging Boko Haram from Sambisa forest on the herdsmen who are attacking and killing innocent Nigerians. “This country has suffered enough from the hands of the herdsmen. The succeeding war on the Boko Haram terrorists should be sustained. The killing must be stopped. “Government should provide adequate security for the returnees from IDP camps to avoid unwanted killings. The government must not fail in this responsibility,” he said.